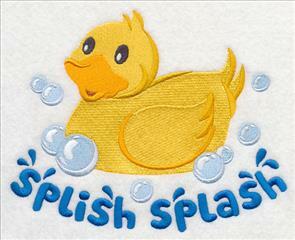 Make a splash on summer projects with new designs perfect for beach and bath! 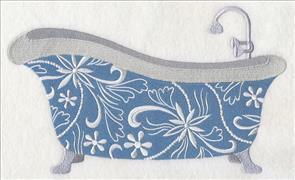 Fashion bathtubs are overflowing with colorful prints just right for adding a unique look to the powder room. Animal prints, flowers, and contemporary patterns give bath time a whole new style! 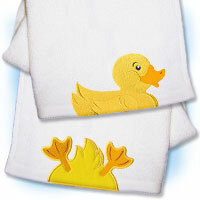 Classic rubber ducks add squeaky clean fun to bath towels and more, His and Hers designs come in an amazing variety of fun themes, one-color silhouettes add splashes of color, and bath time borders are bold and bright. Go ahead and dive right in! 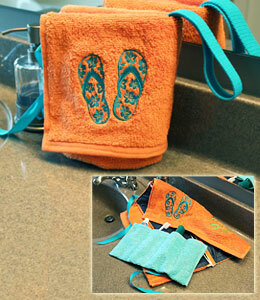 Create a travel kit from a hand towel! Click here for free project instructions! A nice long soak in the tub is always a treat, and with a fashion print tub, the setting couldn't be more perfect for restoration and relaxation. 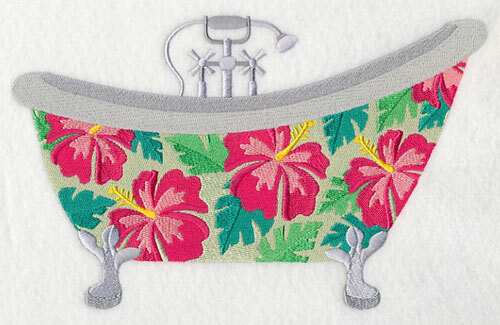 Towels, wall hangings, and framed embroidery are ideal places for these captivating patterns, splashed onto the sides of deep claw foot tubs. Hibiscus bloom on this luxury bath, adding tropical beauty to the powder room. 9.39" x 5.86" and 6.85" x 4.28" and 3.85" x 2.41"
Filigree flows like soothing water over the sides of the tub at left, while ferns add a horticultural touch to the tub on the right. 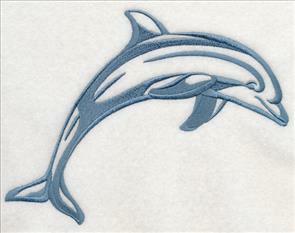 Stitch onto towels for a unique look in the bath. 9.39" x 5.55" and 6.86" x 4.05" and 3.87" x 2.29"
Not everyone has a cow print tub, but everyone should! Bring a western flair to your bath time. 9.39" x 5.42" and 6.86" x 3.96" and 3.88" x 2.24"
Zebra stripes and lavender blooms are absolutely the cure for same old-same bath decor. Both are stunning in framed embroidery, and are sure to be fun conversation pieces for guests. 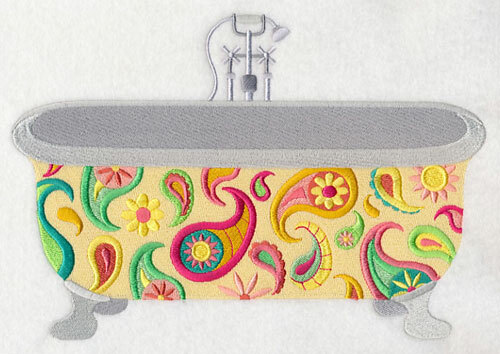 9.40" x 5.50" and 6.83" x 4.00" and 3.85" x 2.26"
Create a personal spa experience with your very own paisley tub on towels and wall hangings. 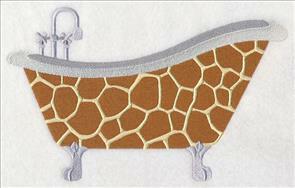 9.41" x 6.55" and 6.85" x 4.76" and 3.86" x 2.69"
Cheerful daisies and a giraffe print warm up decor like a long, relaxing bath. Very fashionable! 9.38" x 5.81" and 6.85" x 4.25" and 3.89" x 2.41"
Who makes bath time lots of fun? Rubber ducky! 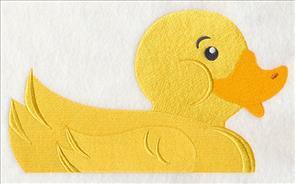 With a "quack quack" and a "splish splash" rubber ducky brings his classic color and cheerful spirit to bath towels. Rubber duck and bubble borders join a corner to create endless possibilities for design placement. 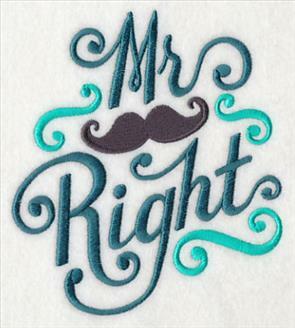 Stitch a feature onto a towel, then frame with the borders. Adorable! 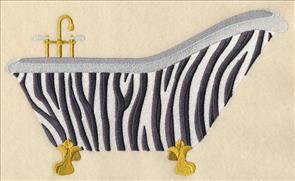 7.46" x 5.85" and 6.14" x 4.81" and 3.86" x 3.03"
Ultra-soft wash cloth and towel sets are popular gifts for new babies. Add a bottle of baby shampoo for a practical yet personal basket for baby showers that will have everyone bubbling over with happiness! 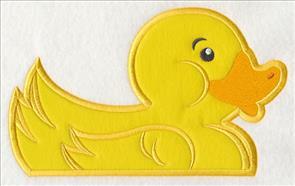 4.16" x 3.64" and 3.45" x 3.01" and 2.65" x 2.32"
Get all your duckies in a row with a bright and whimsical border. Perfect for hand towels, too! The 6" size of this design has been formatted for the Endless Hoop; may also be used in standard hoops. 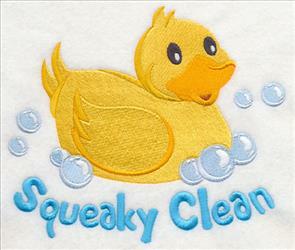 9.42" x 2.46" and 7.80" x 2.04" and 6.00" x 1.86"
Let bubbles float and dance on towels for squeaky clean fun. The 6" size of this design has been formatted for the Endless Hoop; may also be used in standard hoops. 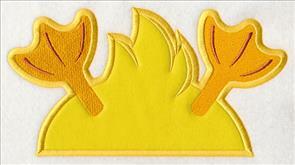 9.41" x 2.04" and 7.80" x 1.69" and 6.00" x 1.30"
Create good clean fun with the Rubber Ducky Design Packs. You'll get all the designs for excellent project versatility as well as the best price. 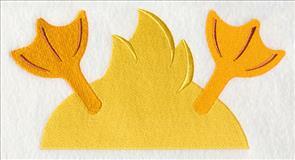 The rubber duck is a classic embellishment that never goes out of style! Order the designs individually by clicking the links above, or get the pack! Three sizes are available to suit any project. The large and medium packs contain 10 designs. The small pack contains 8 designs. 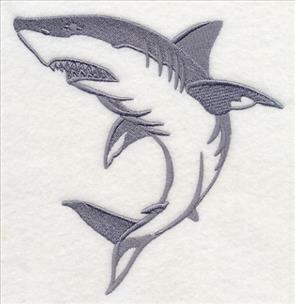 **Md - 10 designs smaller than 7.9" x 7.9"
**Sm - 8 designs smaller than 5" x 7"
On the Edge designs have flat bottoms, making them perfect for adding to the borders of towels and blankets. 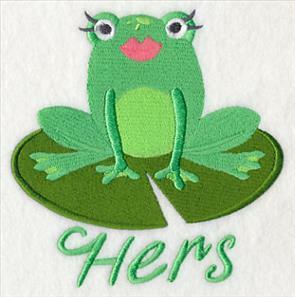 Embroiderers love them for the sweet "peeking" effect they have on quilts, wall hangings, towels, and more. 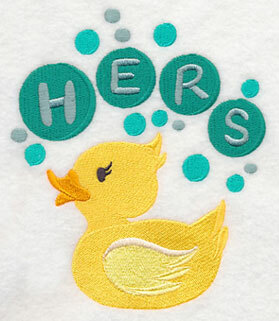 A rubber duck and a duck's tail are completely charming on bath towels. 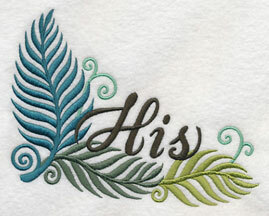 One tutorial demonstrates with a stitch-filled design; and the other with an applique design. 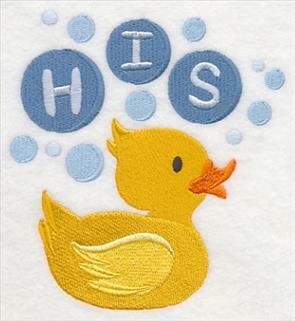 8.51" x 4.37" and 6.86" x 3.53" and 3.85" x 1.99"
Applique duckies are also very sweet on the edges of quilt blocks, baby blankets, and bibs. 8.53" x 4.58" and 6.88" x 3.70" and 3.90" x 2.12"
"On the Edge" designs are flat on the bottom, making it easy to add a fun look to towels. 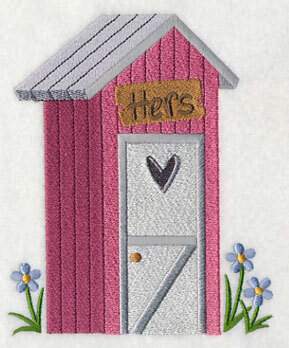 Project instructions demonstrate how simple it is to place the stitch-filled versions just right, and how to create and add the applique version to the edges of towels. 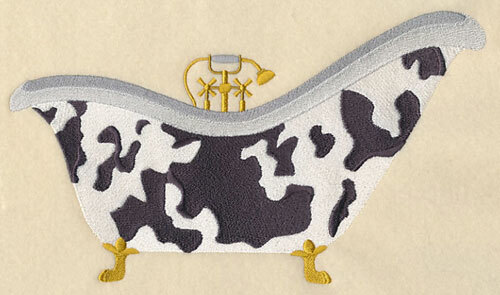 Quilt blocks, bib bottoms, and framed pieces are also delightful with sweet designs "peeking" over the edge. 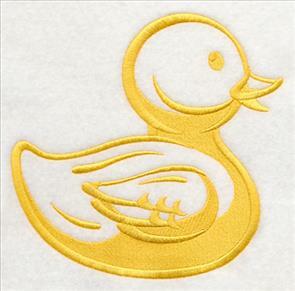 Coordinate the yellow rubber ducky and the duck bottom on a towel set for an adorable embellishment kids of all ages will love! 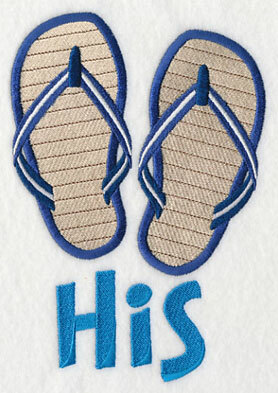 His and hers towel sets are such a fun way to brighten the bath! They also make excellent wedding and anniversary gifts. Everyone loves them, and with so many themes to choose from, you're sure to find the perfect theme for every occasion. 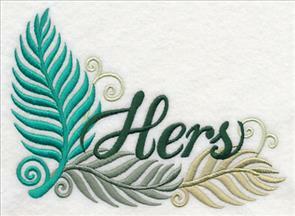 The "His" and "Hers" are on separate color stops, so you can use just the duck, or owl, or fern on any project you like. It's like getting two designs in one. 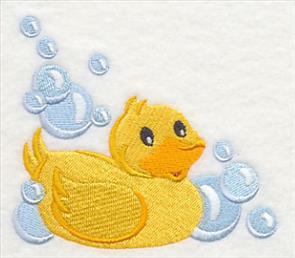 Let these sweet, bubbly ducks swim onto your towels! 4.86" x 5.68" and 3.30" x 3.85"
Nothing says summer like flip-flops. 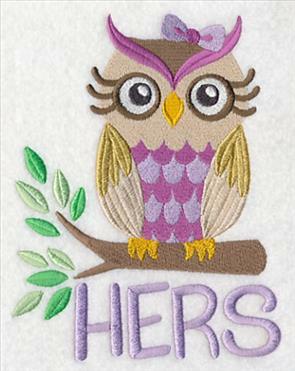 Add to bath towels for a cute look for the lake home and the RV. 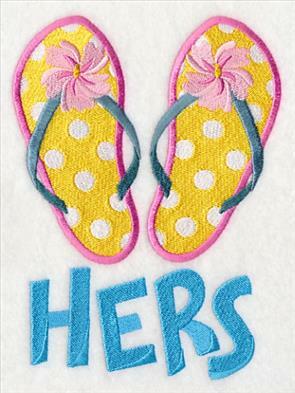 Also delightful on a His and Hers beach towel and tote set. 4.85" x 6.55" and 2.87" x 3.87"
If owls wore clothes, they would be snappy dressers, as this fashion-wise couple proves. His bow tie and her hair bow compliment each other smartly, creating a finely feathered pair. 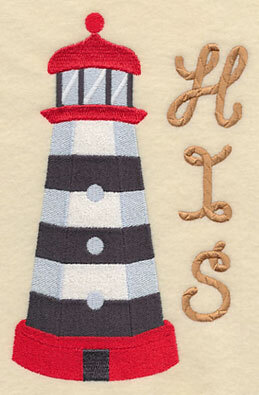 4.80" x 6.25" and 2.96" x 3.85"
Brighten bath towels with classic lighthouses. 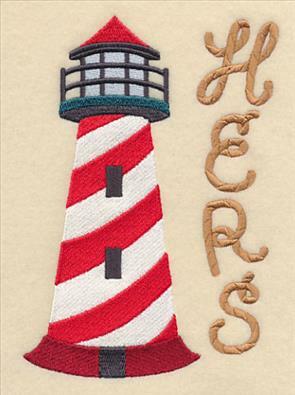 A nautical theme is so fresh for any season; rope letters spelling out the words makes these sea-worthy designs even more charming. 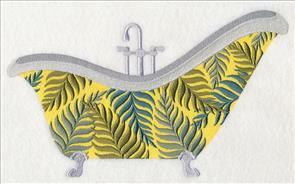 4.66" x 6.64" and 2.61" x 3.73"
Add an elegant touch to towels with flowing fern designs. Match colors to your project needs. 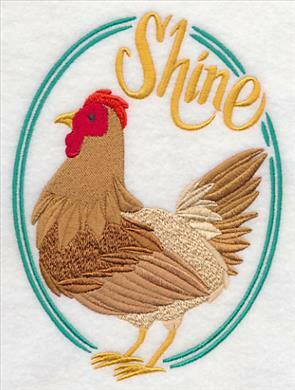 6.51" x 4.84" and 3.86" x 2.87"
Smooth any ruffled morning feathers with a "Rise" rooster and a "Shine" hen. So fabulous! 4.84" x 6.54" and 2.86" x 3.86"
This is the motif His and Hers towels were made for! Sure to bring lots of smiles and chuckles. 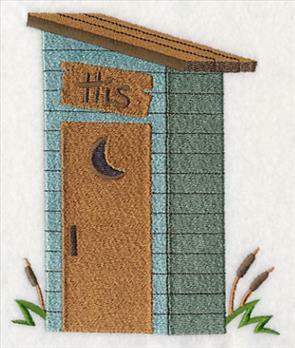 4.72" x 6.88" and 2.65" x 3.86"
Add a nostalgic touch and rustic charm to modern living with vintage country outhouses. 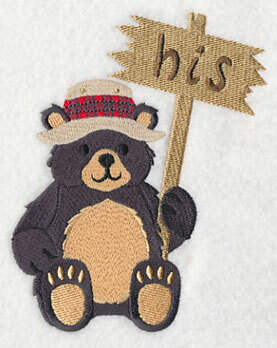 4.81" x 5.87" and 3.13" x 3.82"
Northwoods bears are perfect for cozy cabin towel sets! Sweet anywhere you stitch them. 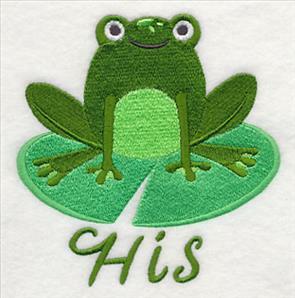 4.85" x 5.55" and 3.35" x 3.83"
His and Hers frogs will jump straight into your heart! Let them spruce up your lily pad. 4.85" x 4.91" and 3.81" x 3.86"
Add French flair for a cosmopolitan look. 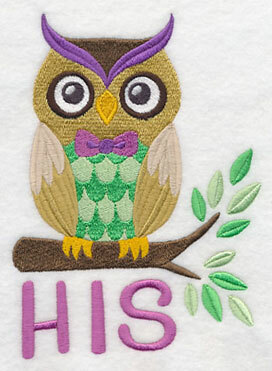 Cute on chef's aprons and kitchen towels, too! 6.86" x 2.85" and 3.86" x 1.61"
Add baroque elegance to the powder room. Perfect for wedding and anniversary gift sets. 6.86" x 4.81" and 3.86" x 2.71"
You can almost hear the ocean waves when you see these designs. Cool breezes and sandy beaches come to mind as seashells, hibiscus, and high tides paint a picture of a tropical paradise. Warm up towels, pillow covers, and wall hangings with these vibrant designs. 6.90" x 10.55" and 5.86" x 8.95"
and 5.14" x 7.80" and 4.52" x 6.86"
Make a splash with one-color silhouettes full of tropical fun and ocean fresh motifs. Choose colors to match your project needs for a brilliant look on T-shirts, beach towels, totes, and cover-ups, summer-themed quilts and wall hangings, and much more. 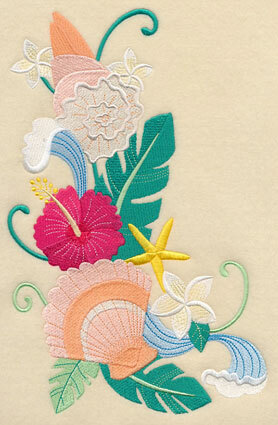 Versatile and easy- breezy designs bring the seashore to your embroidery projects! 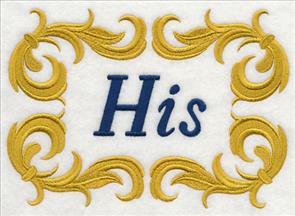 6.00" x 5.86" and 4.98" x 4.86" and 3.86" x 3.76"
These silhouette designs use negative space -- the white spaces are not filled in with stitches, and only one color thread is used. Coordinate thread and fabric color for a subtle tone-on-tone effect or contrast them to make the design stand out with style. 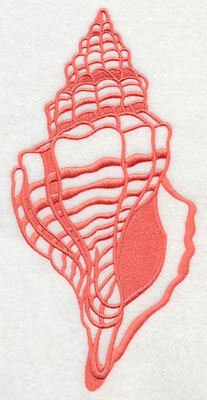 4.64" x 9.40" and 3.38" x 6.85" and 1.91" x 3.86"
One-color designs are fast to stitch and great looking on summer projects. 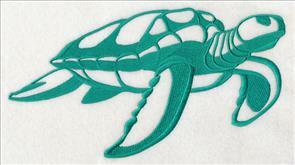 Let a sea turtle and a whale swim onto towels, totes, T-shirts, and more! 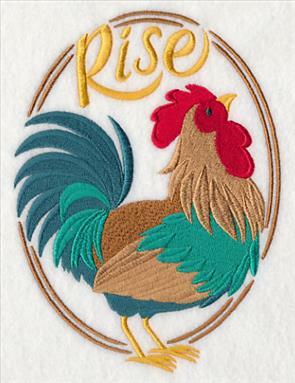 9.41" x 5.59" and 6.86" x 4.08" and 3.86" x 2.30"
Satin stitches in silhouette designs are a perfect fit for smooth fabrics like Jersey knits, quilter's cotton, lightweight canvas, and linen. 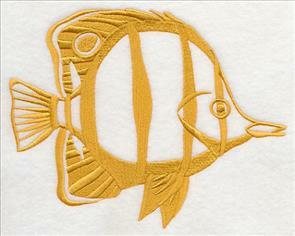 A frog and an angelfish bring a bright splash of color to summer quilts and garments. 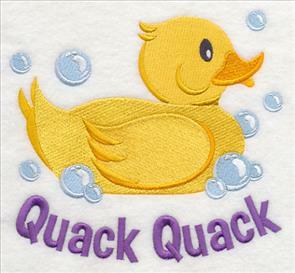 7.84" x 5.86" and 6.49" x 4.85" and 3.86" x 2.89"
Children's bibs and T-shirts are natural places to stitch a yellow duck and a hungry shark. 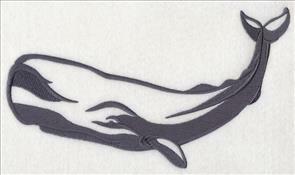 5.86" x 6.04" and 4.85" x 5.01" and 3.74" x 3.86"
A leaping dolphin and a snappy lobster are quick to stitch and add a crisp and contemporary look to towels, market bags, aprons, and more. 8.08" x 5.86" and 6.72" x 4.88" and 3.86" x 2.81"
Make summer projects a breeze with fast and fabulous one-color Splish Splash Silhouettes. 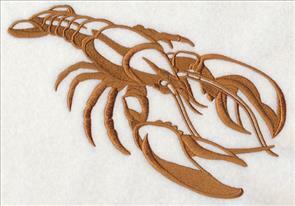 Spruce up beach towels totes, T-shirts, quilts, wall hangings, and more with fresh designs. 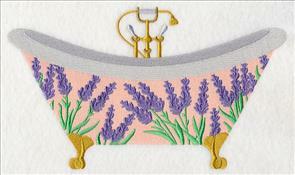 Bath time borders bring bright summer fun to towels. 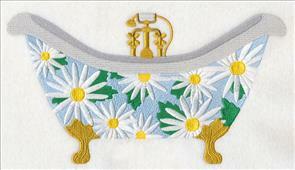 They're also a great fit for children's items, wall hangings, seasonal table linens, T-shirts, and much more. 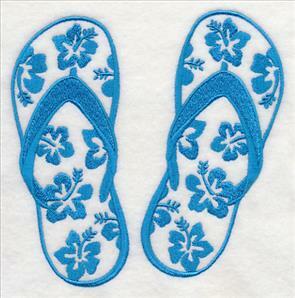 Get ready for the beach -- or a trip to the pool -- with a bright hibiscus and flip flop design. The 6" size of this design has been formatted for the Endless Hoop; may also be used in standard hoops. 9.40" x 3.11" and 7.80" x 2.58" and 6.00" x 2.04" and 3.84" x 1.28"
Towels are adorable with a whimsical whale pod, and so are bibs, toddler tees, and baby blankets! The 6" size of this design has been formatted for the Endless Hoop; may also be used in standard hoops. 9.41" x 3.14" and 7.80" x 2.61" and 6.00" x 2.21" and 3.86" x 1.29"
Create a cool aquarium effect on bath towels, beach totes, cover-ups, wall hangings, and more as tropical fish glide silently through the bubbly water. The 6" size of this design has been formatted for the Endless Hoop; may also be used in standard hoops. 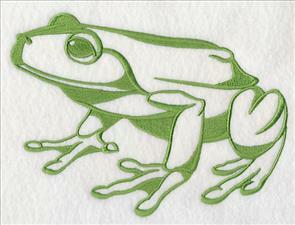 9.40" x 3.15" and 7.80" x 2.61" and 6.00" x 2.32" and 3.85" x 1.27"
Spruce up your lily pad with these friendly frogs! They're full of hopping good fun. The 6" size of this design has been formatted for the Endless Hoop; may also be used in standard hoops. 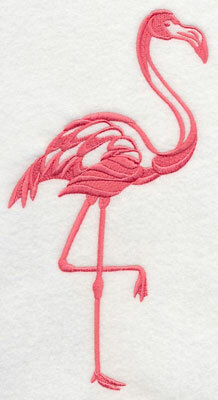 9.40" x 3.14" and 7.80" x 2.61" and 6.00" x 2.39" and 3.85" x 1.30"
Fans of flamingos will flip when they see this feathered trio! 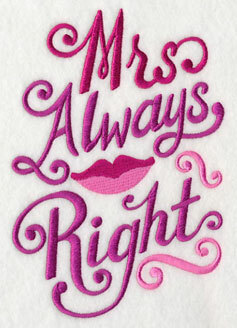 Let them flaunt their fabulousness on towels, T-shirts, table linens, and more. The 6" size of this design has been formatted for the Endless Hoop; may also be used in standard hoops. 9.40" x 3.15" and 7.80" x 2.62" and 6.00" x 2.15" and 3.86" x 1.65"
Sharks show off their toothy grins in a border sure to make bath time more fun for boys and girls alike. The 6" size of this design has been formatted for the Endless Hoop; may also be used in standard hoops. 9.41" x 3.12" and 7.80" x 2.58" and 6.00" x 2.12" and 3.86" x 1.28"
Swans glide serenely on the pond in a peaceful design. 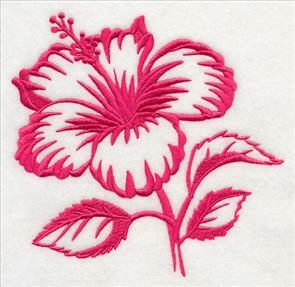 Add to towels for a touch of tranquility and natural beauty. The 6" size of this design has been formatted for the Endless Hoop; may also be used in standard hoops. 9.40" x 3.16" and 7.80" x 2.62" and 6.00" x 2.44" and 3.85" x 1.30"
Tendrils unfold in a pleasingly symmetrical fern design. 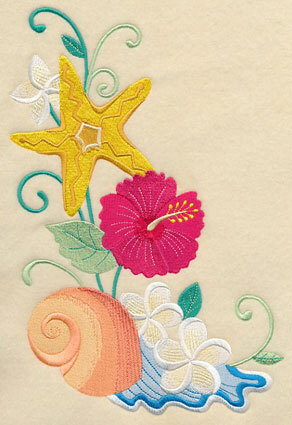 Add a vibrant embellishment to towels as well as shirts and tote bags. The 6" size of this design has been formatted for the Endless Hoop; may also be used in standard hoops. 9.41" x 3.14" and 7.80" x 2.60" and 6.00" x 2.12" and 3.87" x 1.29"
Sea shells from the sea shore bring a bit of the ocean to summer projects. The 6" size of this design has been formatted for the Endless Hoop; may also be used in standard hoops. 9.40" x 3.15" and 7.80" x 2.61" and 6.00" x 2.32" and 3.85" x 1.29"
This week's Special Request of the Week space is dedicated to peace, love, and delicious beverages. Stephanie requested Peace Love Beer, and Chris brewed up the suggestion for Peace Love Tea. 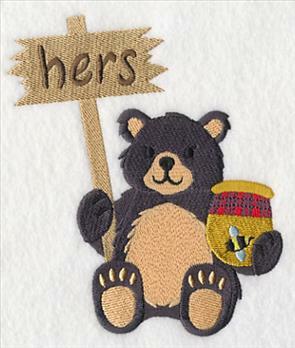 Whether you like your drink with froth and bubbles, or with a bit of milk and honey, both are tasty on aprons, sweatshirts, tote bags, pillow covers, and more. Thanks to Chris and Stephanie for the excellent ideas! 9.39" x 3.73" and 7.80" x 3.10" and 6.86" x 2.73" and 5.25" x 2.08" and 3.86" x 1.53"